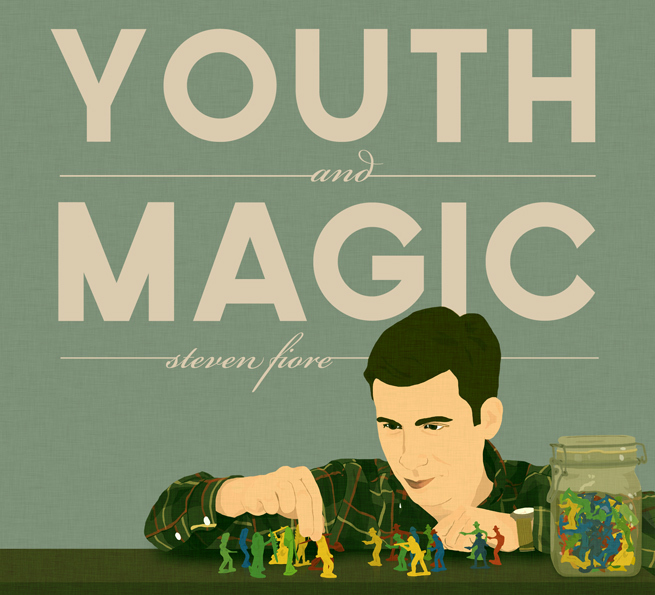 Written and recorded over a few years time, Youth and Magic, from Charleston singer-songwriter Steven Fiore has the power of much time and thoughtful inspiration put into its full production. 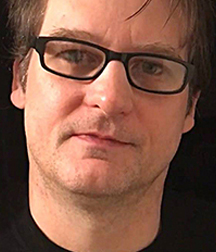 Fiore plays a mean, folk-by-way-of-pop acoustic guitar; there are simple moments he is playing in service of the song and others where even jaded guitarists will take notice. His softly spoken, yet direct vocals might draw comparisons with Rufus Wainwright or Paul Simon, but his is a great, almost idiosyncratic voice. The album itself has a full production with an impressive array of instrumentation, yet never seems overdone or like it’s seeking some obligatory radio compensation. All of the players have distinct roles, but it is Fiore who commands the listener’s attention above all the orchestration. This is poppy folk rock with an unapologetic desire to get in your head and not escape. “Flicker and Fade” has a strong Paul Simon feel with its bouncing folky drive. “Spend a Little Time”, with its keyboards and horn, might remind you of a certain iconic scene from Steve Martin’s classic movie The Jerk. I felt the passing ghost of the Beatles in more than a few of the arrangements here and some lyrics. “Glory” is somberly driven by Fiore on the piano and pulls off the neat trick of questioning religious impulses while still casting an obvious spiritual glamour on the audience. Steven Fiore has drafted a love letter to the idea of the love song itself with Youth and Magic. 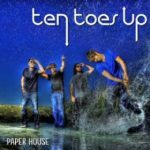 The whole album has a ringing stillness and softly flowing determination that makes all the tracks definitely fit together. His knowing and assured delivery of eloquent vocals will make an impression on many observers. Here’s hoping that his next effort won’t take so long to reach our ears. Recommended if you like: Rufus Wainwright, Paul Simon, The Beatles.